Vital Arts is the arts organisation for Barts Health NHS Trust , the largest Trust in the UK, charitably funded to deliver projects for the wellbeing of patients, staff and the wider hospital community. With five hospitals in East London: The Royal London, St Bartholomew’s, Mile End , Whipps Cross and Newham University Hospital and over 2.5 million patients, their work sees these important civic spaces become ideal places to introduce new audiences to contemporary art. 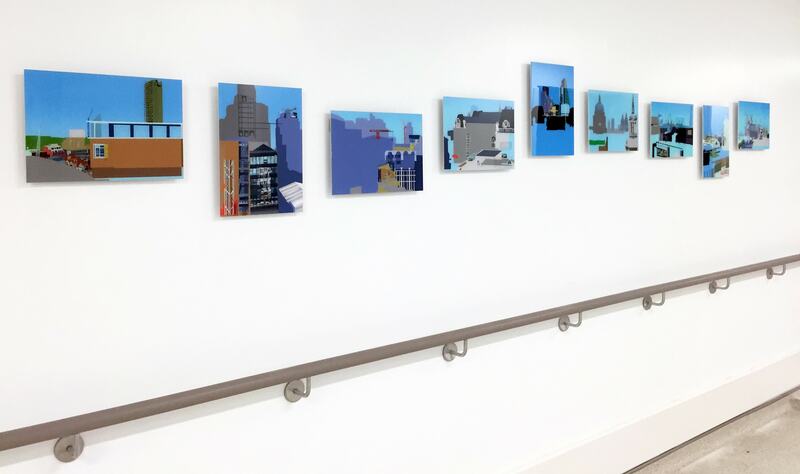 The art they deliver throughout the Trust is a breath of fresh air in a healthcare environment and we were thrilled to develop this partnership to grace the halls with music for all. Working closely with Vital Arts , we have been able to introduce a programme of World Music onto their wards. Playing for maternity, renal and elderly patients at Whipps Cross and Newham , for oncology patients at Barts and or the maternity wards at the Royal London Hospital. We are looking forward to continuing this project and to bring the positive impact and benefit of live music on health and wellbeing alongside Vital Arts into next year. For more information about Vital Arts and the work that they do, visit their website.